Being human is not easy. There is always a challenge. There will always be something: relationship conflicts, that difficult person in the family, feeling betrayed by someone at work, fear around finances, pressures on the job and so on. Life has immense beauty and extraordinary magic. And also....Life IS difficult. It is RARE when everything goes perfectly. It is rare when we feel perfectly confident, perfectly beautiful, perfectly brilliant, perfectly rested - with the perfect savings account, the perfect abs, the perfect sugar intake... Of course, we always want to improve and we feel good when we are working towards our goals, but my point is - Life is imperfect! What if every challenge or agitation is helping us to learn higher levels of compassion, forgiveness, patience, kindness, love and wisdom? What if we could truly celebrate that life is a school - for learning? Human beings are amazing because we are so incredibly resilient. We can learn to forgive even when we have been betrayed, we can be kind even when we feel rejected, we can become stronger even after we feel we have lost everything. We learn to problem solve in dire circumstances, navigate difficult people, and master our anger and jealousy. Miraculously (and most importantly, and thankfully,) we can all find a way to love ourselves in spite of our imperfections. As soon as we stop having resistance with this reality, and can see life as a dynamic and glorious process of growth, and embrace the incredible power of our human adventure - our whole world looks different. Everything becomes a touch easier with that simple shift of perspective. Peace comes by leaning in to our own journey and honoring each another as we travel together through life. This feature length film was hosted by the Head of Special Forces for the US Military in Afghanistan. You will also hear from Oz Sanchez (Gold medalist in the Beijing Paralympics), Lucia Rijker (World Champion kick boxer), and Shannon Hartnett (World Champion Athlete) along with other very special people. This film was edited exquisitely by Neil Sandilands. Thank you Greg Strom for creating something that can help so many people. You are amazing. Very exciting news! The documentary film is out. And available free for you. Today I received very exciting news... 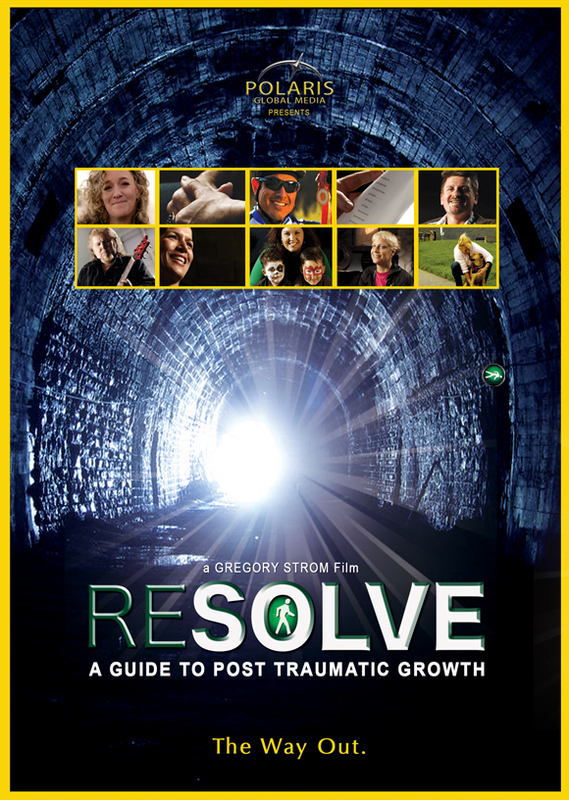 It's been years in the making and at last the award-winning documentary film "Resolve" is out. (You will see me featured in it along with nine others as we share solutions for successfully overcoming adversity and post-traumatic stress - PTSD.) If you or a loved one is experiencing PTSD "this can be from the stress of war, shootings, catastrophic burns, loss of a child, paralyzing accidents, athletic injuries, emotional trauma or financial ruin" I am honored to share this film. It is produced and directed by Greg Strom and so generously offered by him for free at this link: Click here - Please share. This feature length film was hosted by the Head of Special Forces for the US Military in Afghanistan. You will also hear from Oz Sanchez (Gold medalist in the Beijing Paralympics), Lucia Rijker (World Champion kick boxer), and Shannon Hartnett (World Champion Athlete) along with other very special people. This film was edited exquisitely by Neil Sandilands. Thank you Greg Strom for creating something that can help so many people. You are amazing. Jul 12, 2016 Speaker for Norton Healthcare at "Go Confidently"
Feb 22, 2015 Very exciting news! The documentary film is out. And available free for you. Jul 21, 2012 Even After All This Time the Sun Never Says to the Earth, "You Owe Me"
Nov 7, 2011 TEDxZaragoza and "The Future of Happiness"